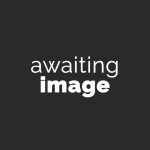 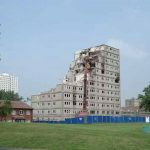 Scope: The soft-strip, deconstruction, demolition and site clearance of a 14-storey office building and adjacent shops and basements. 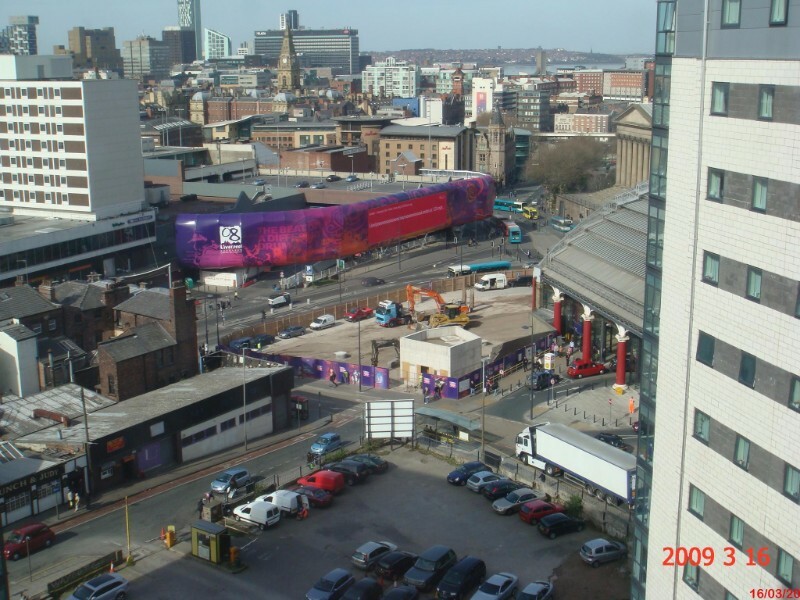 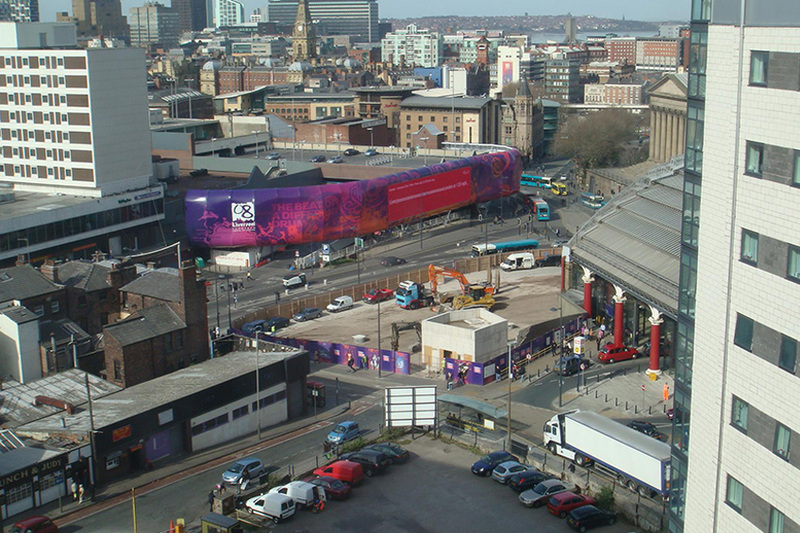 Site directly outside main city centre railway station with busy streets on other sides. 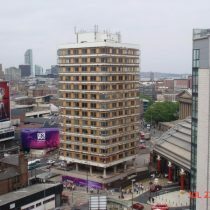 The fourteen storey tower block was made up of a reinforced concrete column grid with flat slab floor construction and glazing & steel board cladding. 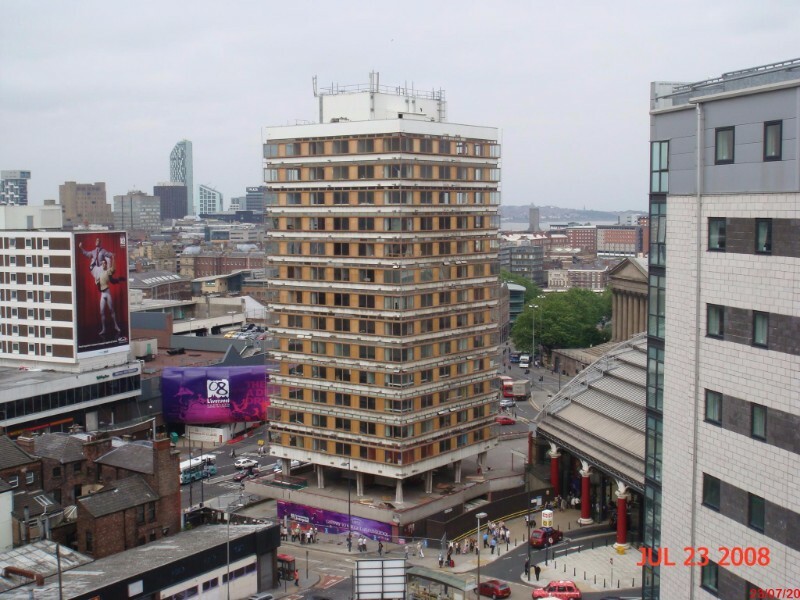 Adjacent to the tower block was a row of two storey shops with basements. 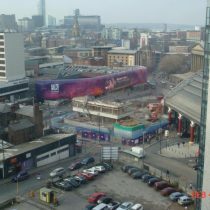 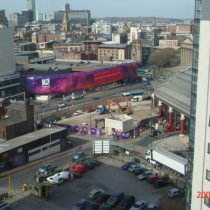 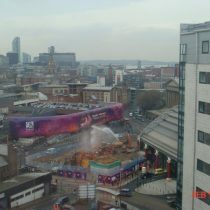 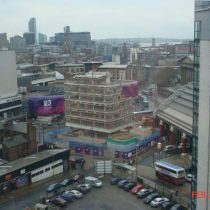 The site was outside the main city centre railway station in Liverpool (Lime St) with the shops directly up against the front station wall. 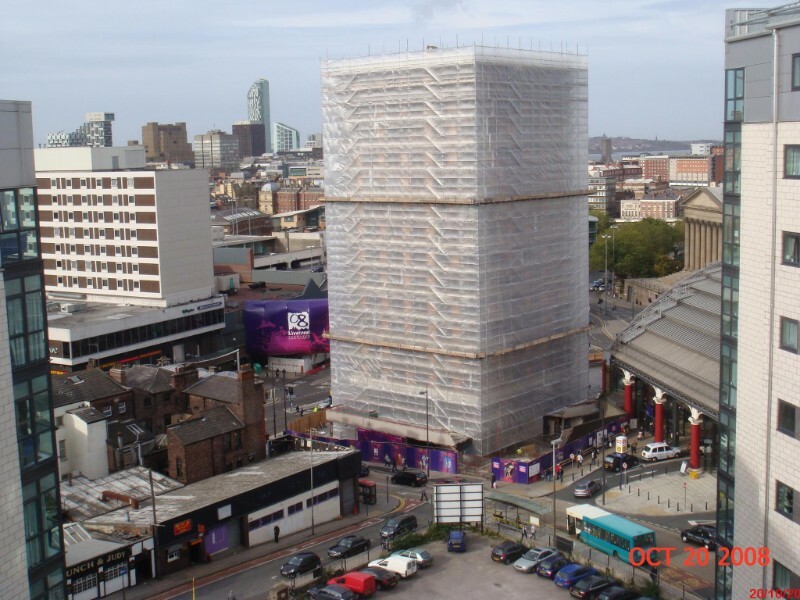 Full height scaffolding was erected to all floors with monarflex sheeting and boarding to the top lifts. 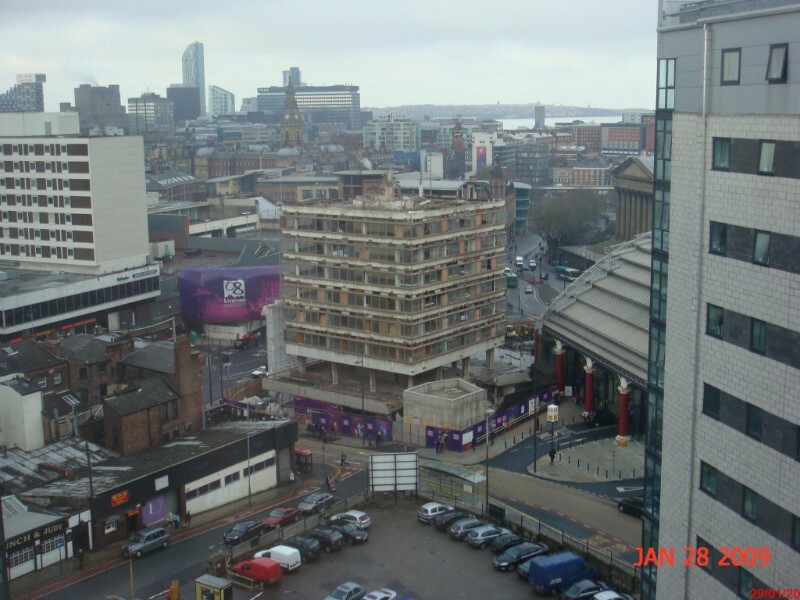 The top floors were deconstructed using mini-diggers and bobcats with debris deposited down the lift shaft. 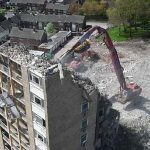 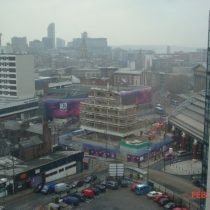 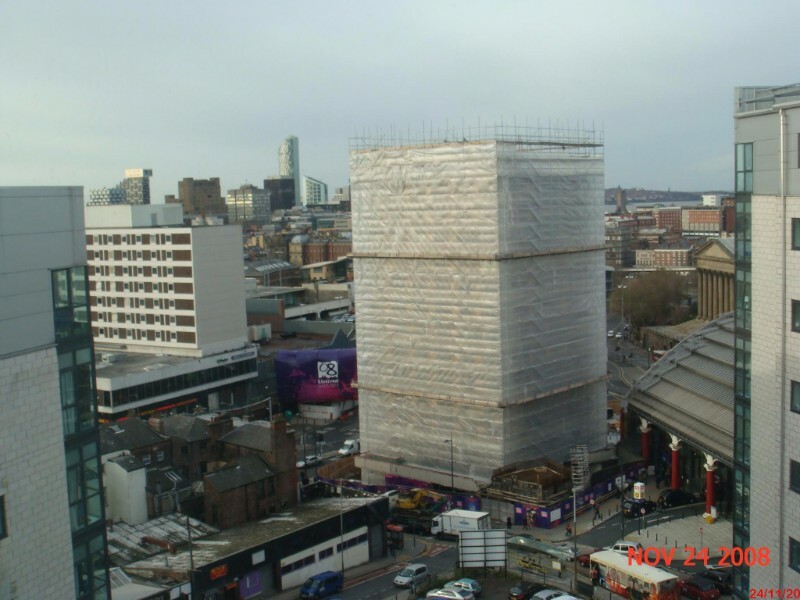 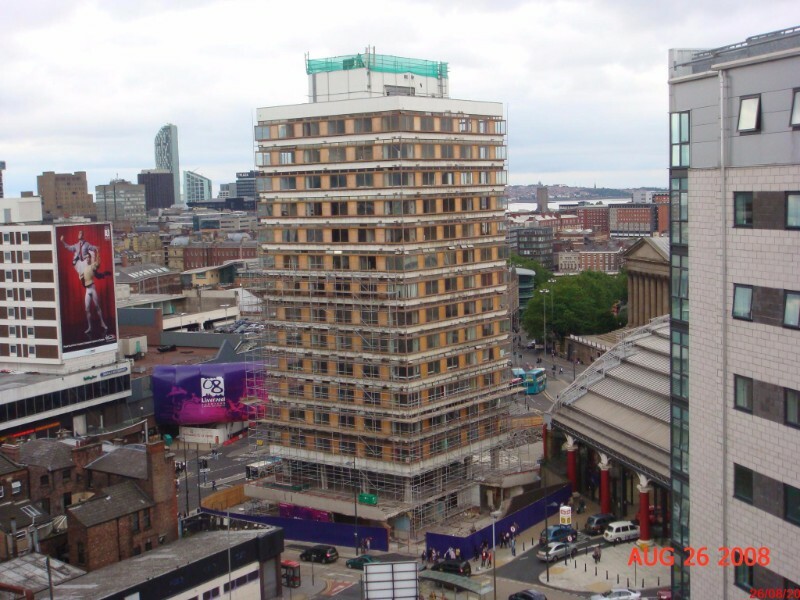 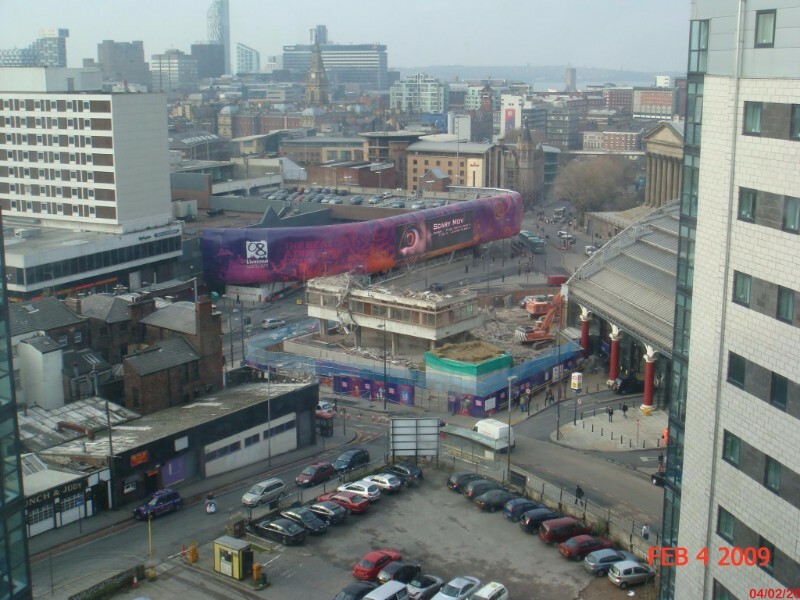 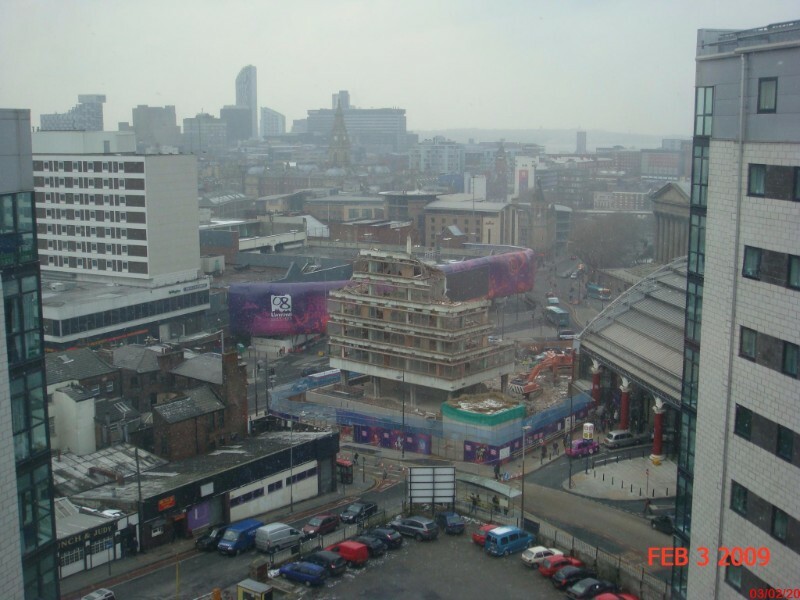 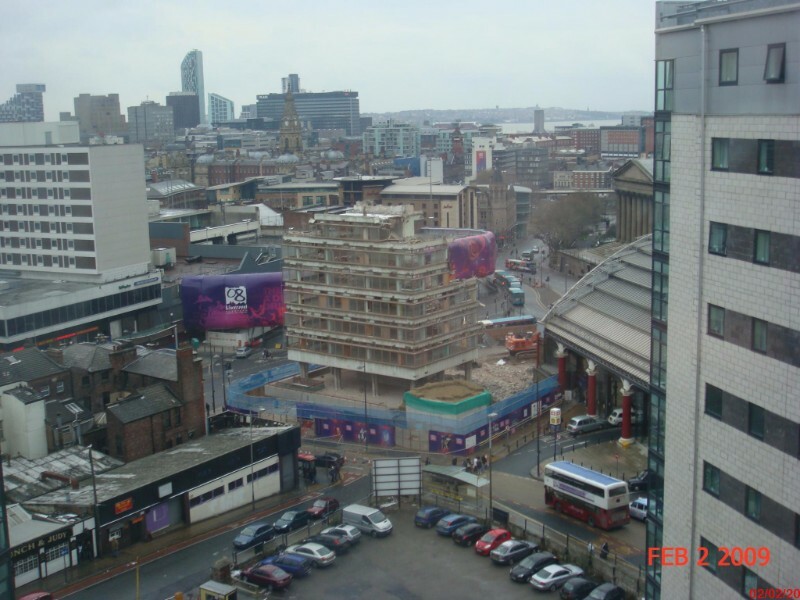 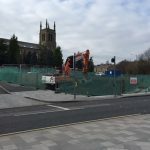 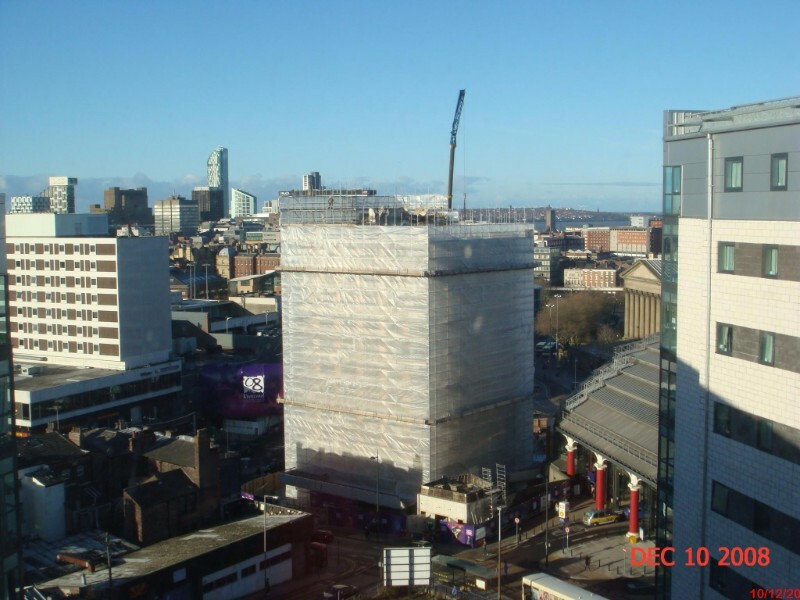 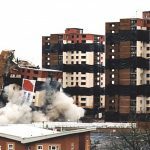 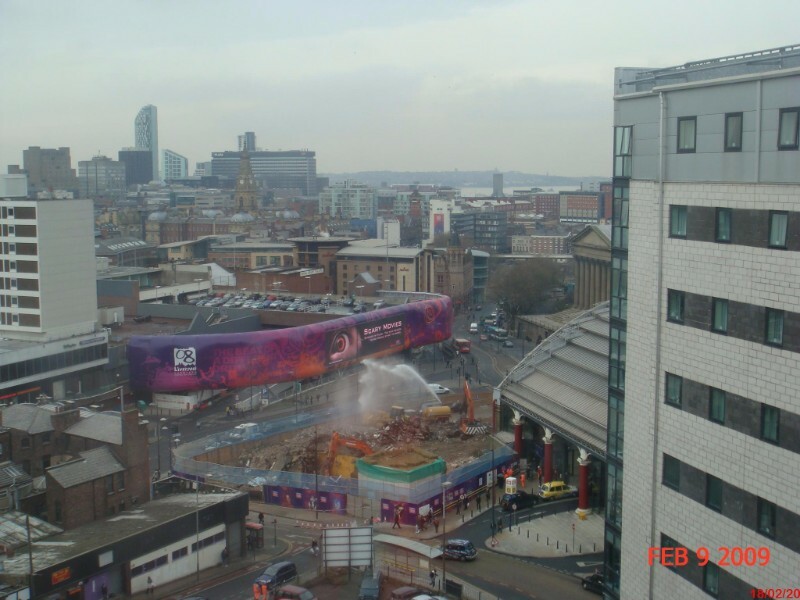 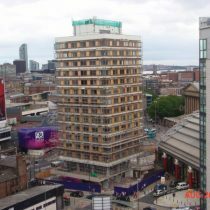 The lower floors were demolished using Hitachi EX800 long reach demolition excavator fitted with a concrete pulverisor and 360o rotation once the scaffolding had been dismantled. 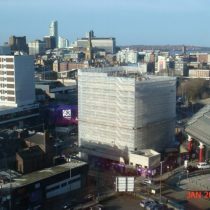 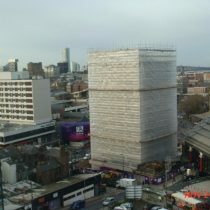 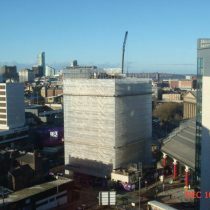 The demolition was carried out above a live sub-station in the basement of the tower block, which was protected by waterproofing and reinforcing the ceiling prior to demolition. 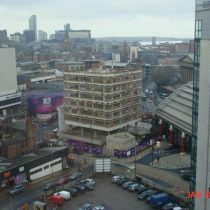 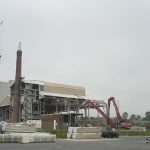 The demolition material arising from the work was crushed on site and compacted down in layers over the footprint of the site. 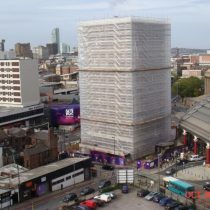 This material formed the base for the follow-on works to create an attractive public realm space at the entrance to the station. 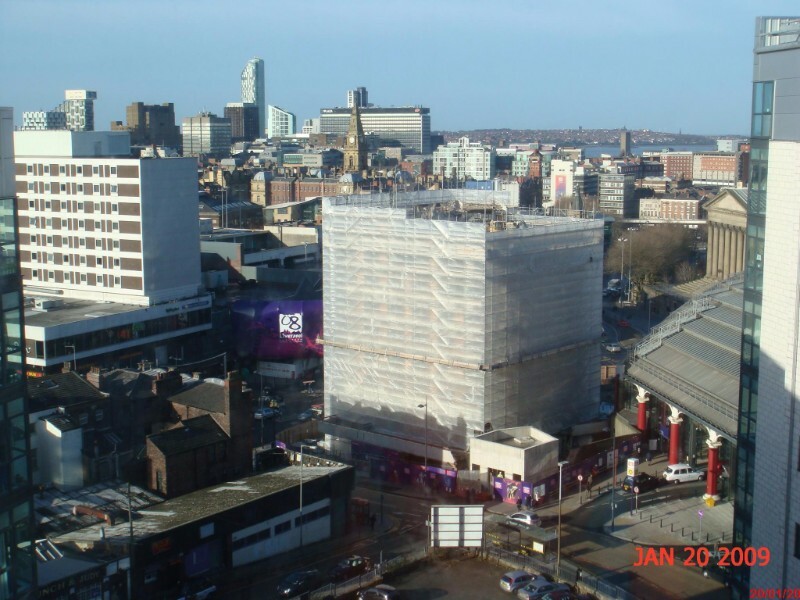 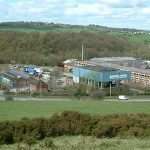 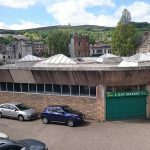 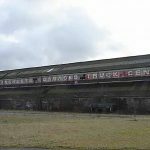 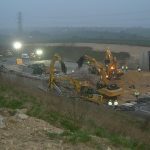 During the project the site was also audited externally and received the NFDC’s Accredited Site Audit Scheme as well as surpassing the requirements of the Considerate Contractors’ Scheme.